There is no denying that the elusive Unicorns spread happiness and magic. The magical creatures have spun their magic and wormed their way into everyone’s heart. But, don’t blame yourself! They are totally irresistible! The symptoms are smiles, happiness, and the desire to have Unicorns on everything! 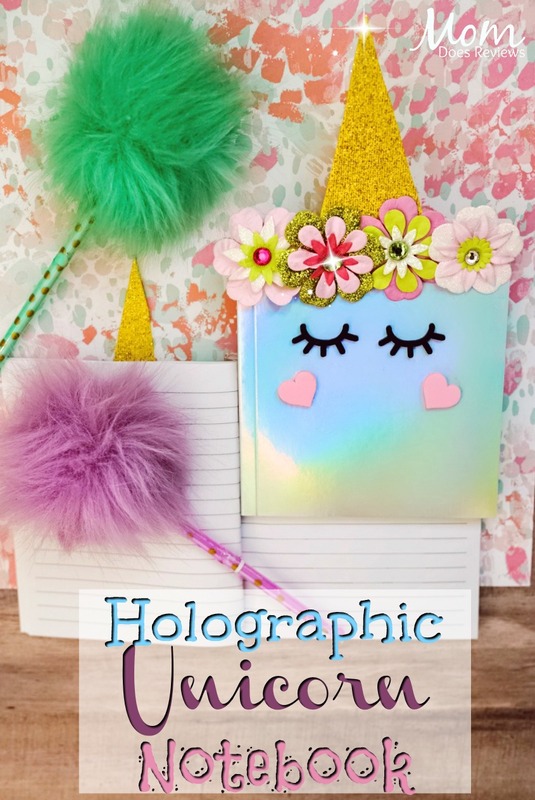 Check out this easy and fun Holographic Unicorn Notebook Craft! All your friends will want one! Be sure to check out all our other Unicorn posts HERE!! 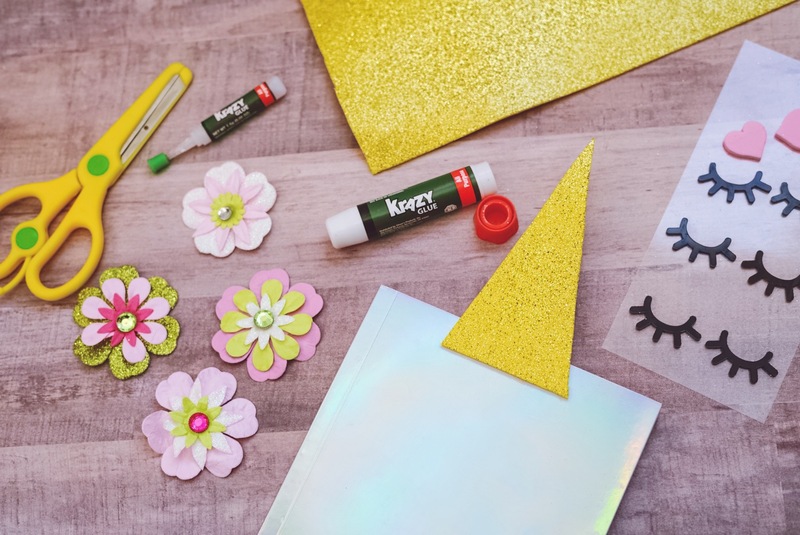 You can get most of the supplies from Hobby Lobby. I also put links to Amazon for easy online shopping. 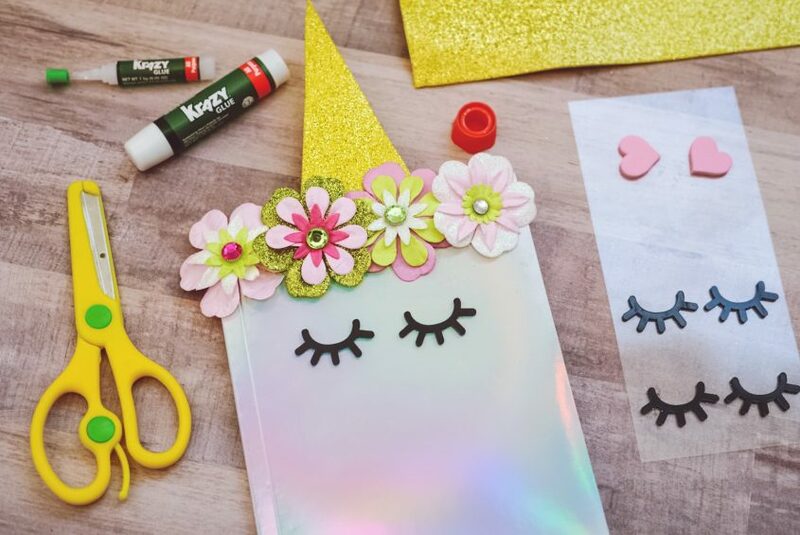 Step 1: Take your gold glitter foam paper and cut out a unicorn horn. 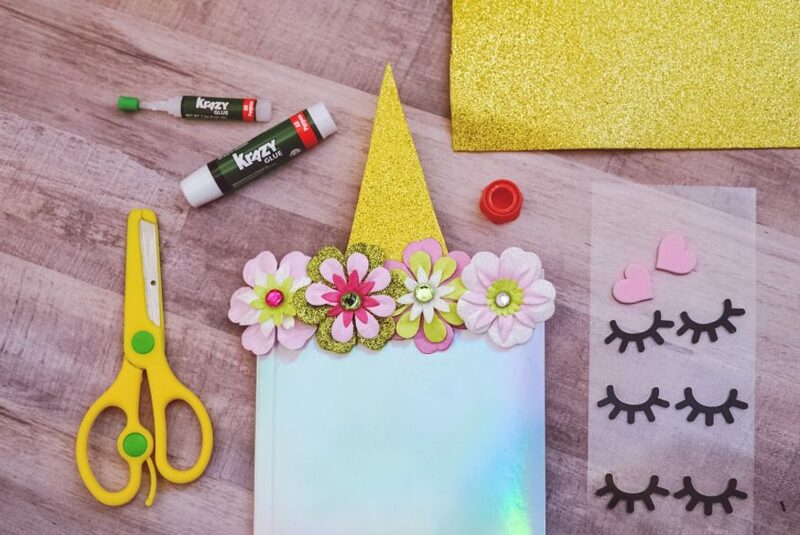 Then glue it to your holographic notebook. 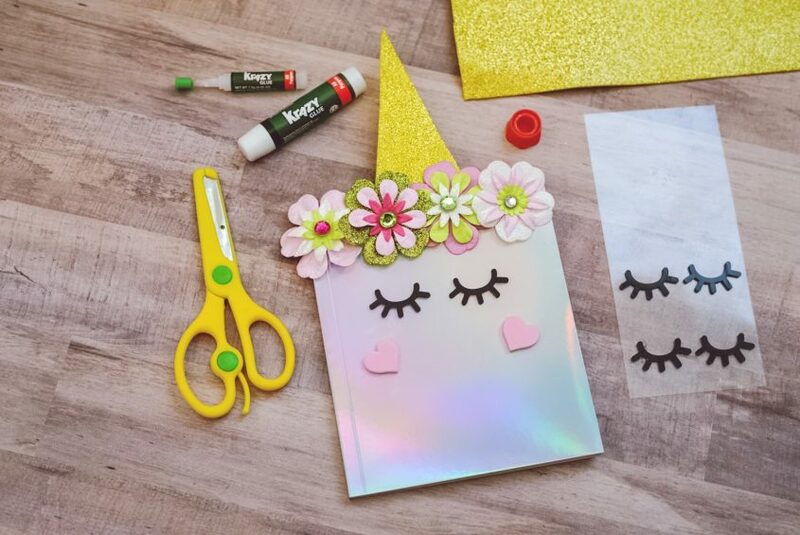 Step 2: Next, glue your flowers onto the top edge of the holographic notebook. 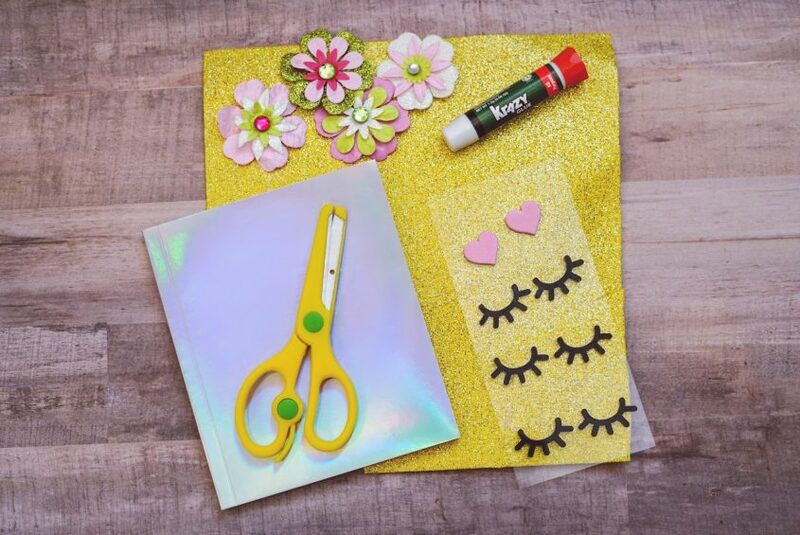 I suggest placing the flowers where you want them placed before gluing them down. That way they are placed perfectly! Step 3: Stick on those unicorn eyes! If you choose to not use stickers, you can always use a black sharpie and draw eyes. 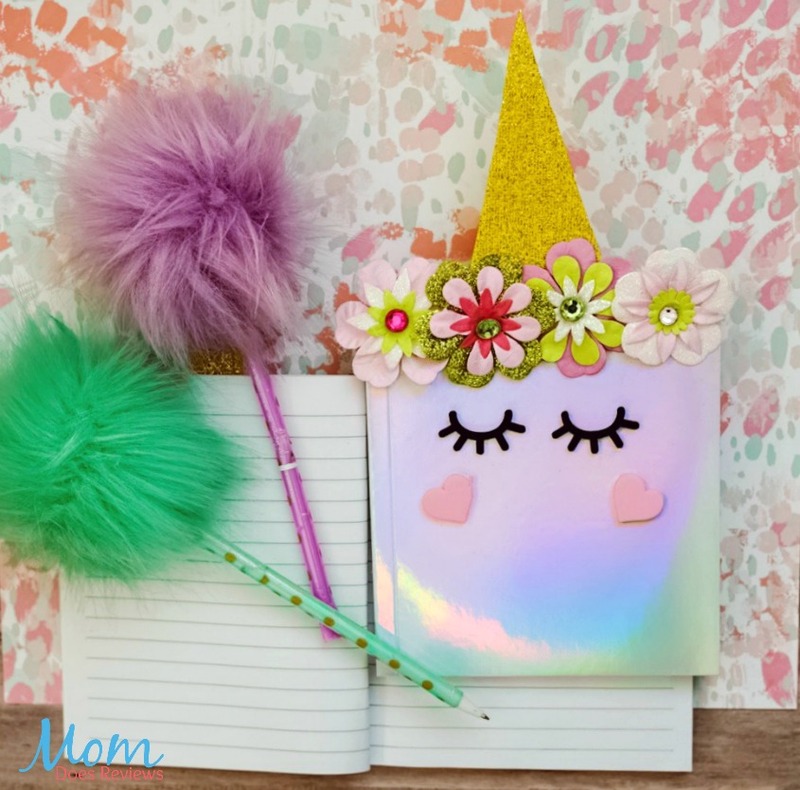 Step 4: Glue two foam hearts onto the holographic notebook for unicorn cheeks. 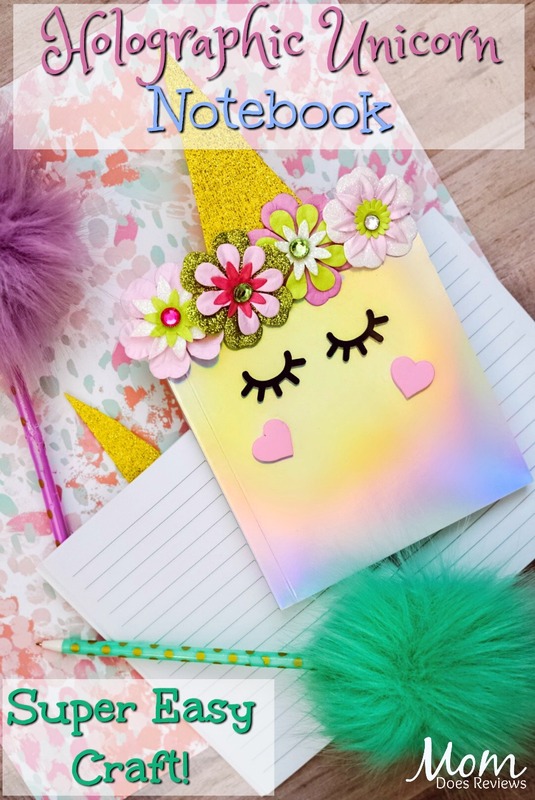 Be sure to pin for later and share with your Unicorn Lovers!